by pamlloydsite.In Business to Business, Content Creation, Media Relations, Social, Strategy Planning.  PamLloyd PR is working with Barfoots UK to increase awareness of the business with its stakeholders; from potential customers and the local community to people who may be considering a career in a major UK food business. Barfoots is one of the UK’s leading fresh produce businesses and has grown significantly over the past two decades. A combination of farming excellence and expertise, market leading innovation and genuinely sustainable approach to all aspect of its business has made Barfoots a real success story. We are using some of the many exciting projects underway at Barfoots to illustrate the company’s investment in its future and the benefits to its stakeholders. We are supporting the team with b2b qualitative research, PR, content development and targeted communications.